Comments: BSE image of pentlandite with inclusions of nickeliferous pyrite. 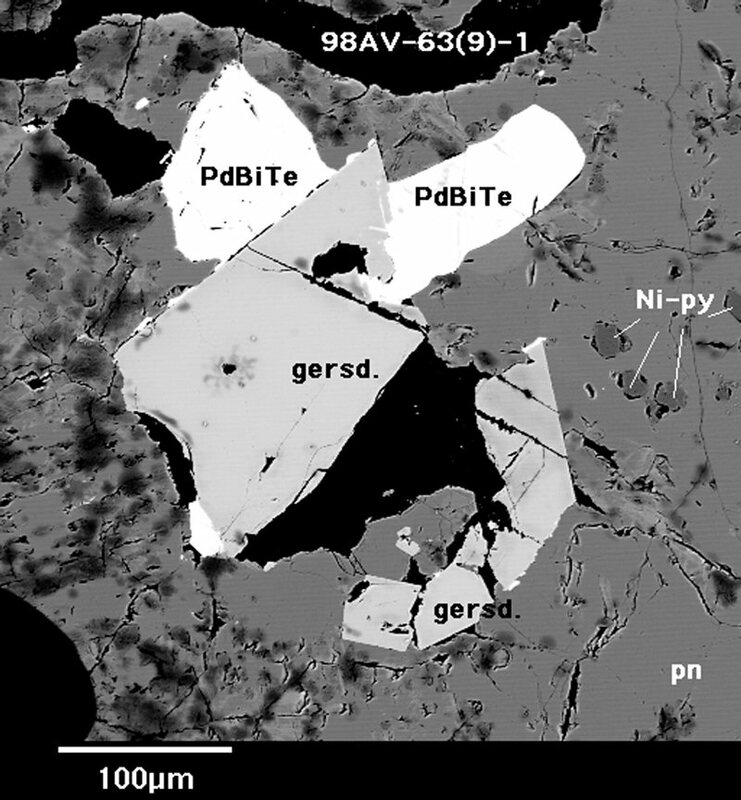 Pentlandite hosts discrete grains of cobaltite/gersdorffite with michenerite (PdBiTe) crystals as overgrowths and replacement of the arsenide. Location: Worthington mine, Worthington offset, Supergiant Ni-Cu-PGE Sudbury District, Ontario, Canada.